TMA was carried out STC strength calculation metal foundation and the chimney with the fluctuating component of the wind load. 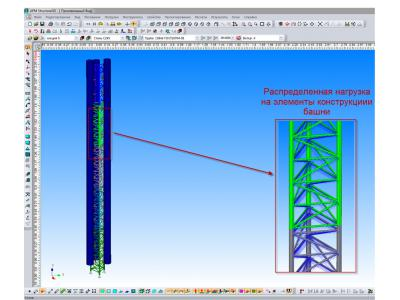 - calculation of the foundation for the tower. 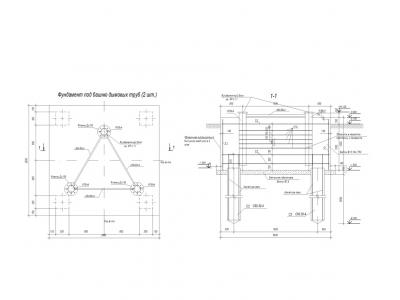 The calculation was carried out using APM Structure3D program in accordance with the calculated diagrams and drawings provided zakazchikom.Bashnya rod simulated by finite elements. Target loading was carried out by creating loadings stages, each of which is responsible for a particular power factor. Average component of wind load was determined in accordance with the SP 20.13330.2011 "Loads and effects." After that the program for the uploading determined pulsation component of wind load, which account for 16 of eigenmodes structure oscillations were determined. 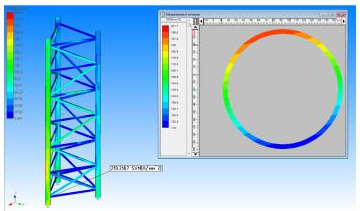 Calculation bolting structural elements executed in accordance with SP 16.13330.2011. 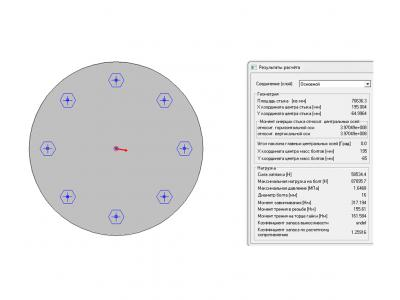 Compounds of high-strength bolts to be calculated under the assumption that the transmission operating in the joints and the attachment force through friction generated by the osculating planes of the elements to be connected by high-tensile bolts. The distribution of the longitudinal forces between the bolts should be uniform. 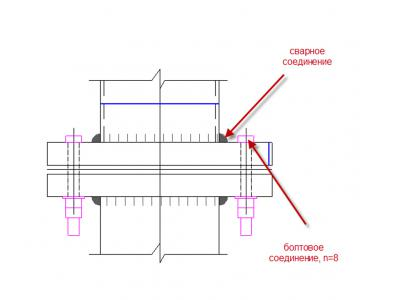 Verification calculation bolting shown in APM Joint M12 bolts must be replaced on the bolts M16 GOST 7798-70. 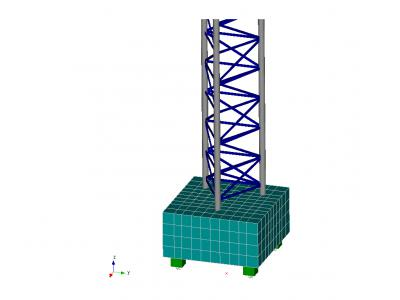 The calculation of the tower structure in view of the fluctuating component of the wind load as well as the calculation of the most loaded structural elements according 16.13330.2011 SP. 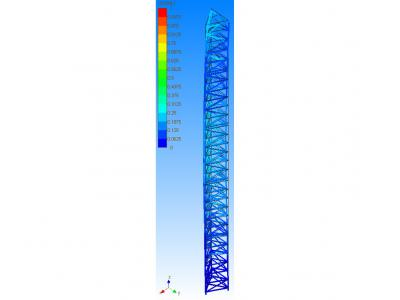 Analysis results of the strength calculation of the tower shows that at a given computational load safety factor of 1.13 fluidity. 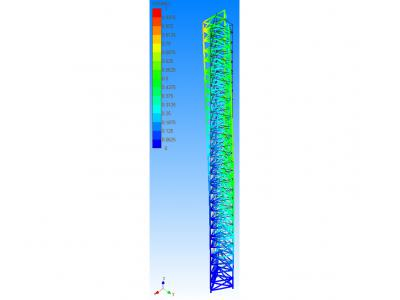 The maximum deflection of the tower structure are 15.1 cm at wind load operation with regard to its pulse component. 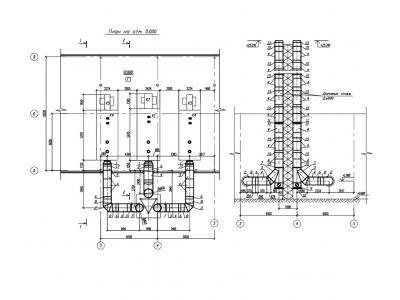 The calculation of the foundation has shown that the bearing capacity of piles indentation and pull-out provided.